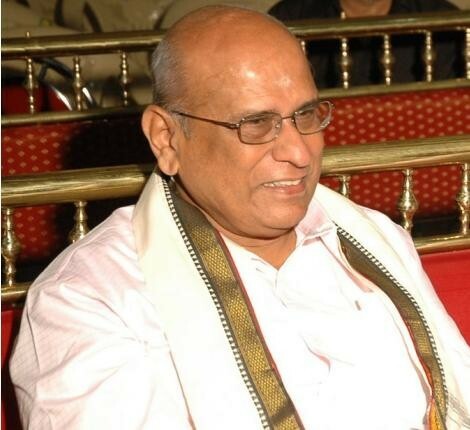 Dr. Srinivasan Kalyanaraman, Sarasvati Sindhu Research Centre, Chennai, is the pioneering researcher contributing materials related to a better understanding and appreciation of Ancient Indian History and Time lines. His website carries 40,000 files on River Sarasvati for use by all researchers. His contributions can be accessed at the links provided in the resources and bibliography sections. Dr. Kalyanaraman has written 14 pioneering volumes on Sarasvati-Vedic river and Hindu Civilization that highlight various aspects of this civilization including language and writing systems and cultural traditions. They also describe ongoing work including over 2000 archaeological sites on the banks of vedic Sarasvati and identifying the people who lived in that age, from discoveries in archaeology. These volumes provide evidence to refute the ongoing prejudicial attacks from western writers and academicians and in particular the currently discarded theory of Aryan invasion, which unfortunately continues to be taught in the western academia and schools. This book is the very gist and essential summary of the encyclopedic studies contained in the fourteen volumes of writings. This provides succinctly the summary of the story of Vedic civilization, which principally developed on the banks of river Sarasvati mentioned in Rigveda. With kind permission of the author, we reproduce below the summary of the book, written by Dr. Kalyanaraman himself, which provides the main focus and highlights of the publication for our web page readers. When Mohenjodaro and Harappa were discovered in the early 1930’s during the BritishColonial regime, on the banks of Rivers Sindhu and Ravi, they were hailed as thediscovery of a Harappan or Indus Valley Civilization. As archaeological explorations andinvestigations proceeded, it became clear that over 80% of the 2600 archaeological siteswere NOT on the banks of Sindhu river but on the banks of Vedic River Sarasvati which isalso mentioned in a very ancient text, Rigveda in 72 rica-s. 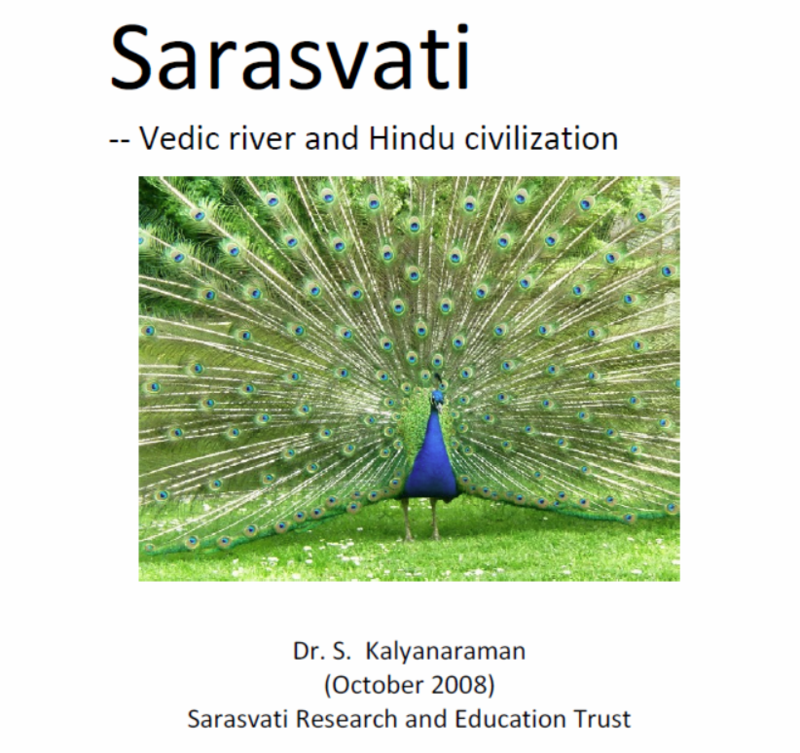 The conference on Vedic River Sarasvati and Hindu Civilization (Delhi, Oct. 24 to 26, 2008) highlights the findings of scientists and researchers particularly during the last 60 years after India achieved Independence in 1947. These findings are based on a variety of disciplines: hydrology, meteorology, glaciology, seismology, sea-level changes, ice-age cycles, evolution of metallurgical and other technologies, architectural, agricultural and other cultural artefacts. These findings throw a new light on the civilization which is now rightly called Indus-Sarasvati civilization. Over 30 scholars/scientists’ multi-disciplinary contributions included those of Prof. KS Valdiya, INSA Golden Jubilee Professor in Geodynamics, Jawaharlal Nehru Advanced Centre for Advanced Scientific Research, Bengaluru; Prof. BB Lal, former Director General of Archaeological Survey of India; Dr. GyaneshwerChaubey, University of Cambridge; Prof. Shivaji Singh, former Head of the Department of Archaeology and Ancient Indian History, Gorakhpur University; Prof. TP Verma, Head of Department of Archaeology and Ancient Indian History, Benares Hindu University, Prof. AdigaSundara, Head of Department of Archaeology and Ancient Indian History, Karnataka University; Dr. JR Sharma, Dr. AK Gupta, Dr. BidyutBhadra, scientists from Indian Space Research Organization; Dr. M Rao, scientist from Oil and Natural Gas Commission working on Sarasvati Project in Haryana-Rajasthan; Water management experts from Haryana working on reviving Vedic River Sarasvati; Dr. S. Kalyanaraman, Director, Sarasvati Research Centre, author of 13 books on Sarasvati, of Indian Lexicon, a comparative dictionary of over 25 ancient Indian languages. The booklet is intended to summarize the state of researches related to Vedic River Sarasvati and the indigenous evolution of Hindu civilization on this river basin. The booklet is intended for a general audience. Conference Papers compilation including detailed presentation and discussion of findings is in about 300 pages. The primary objective of the booklet is to provide, in simple terms, a multi-disciplinary framework based on researches by well established scholars in diverse scientific fields (archaeology, glaciology, ancient history, numismatics, space research, ground water etc) to collectively consider and evaluate the extant researches. The focus is on the roleof this mighty ancient river Sarasvati in the Vedic settlements constituting thefountainhead of ancient Hindu civilization and building up a harmonious construction ofthe connected civilizations. The true story of ancient Bharatam unfolds itself, like theunfolding of the peacock’s feathers in a civilizational dance (Hence, the use of this figureon the title page). Rediscovery of Vedic River Sarasvati (including a decoding of the writing system of Indus script as Sarasvati hieroglyphs, mlecchitavikalpa mentioned by Vatsyayana in hisvidyaasamuddes’as’loka in Kamasutra. Mleccha was the lingua franca spoken by Yudhishthira in his conversations with Vidura and Khanaka, miner during the jatugrihaparva. Mlecchavaacas is distinguished from aryavaacas by Manu to connote dialectical language and grammatically correct language. Mleccha just means ungrammatical lingua franca of the linguistic area of Sarasvati civilization.). The writing is an invention by metalsmiths, vis’vakarma who use the same technique even today in Swamimalai (lost-wax technique) for making bronze vigraha. Feuerstein, Georg, SubhashKak, and David Frawley. The Search of the Cradle of Civilization: New Light on Ancient India. MotilalBanarsidassPublishe, 2005. Danino, Michel. The Lost River: On the Trail of the Sarasvatī. Penguin Books India, 2010. Danino, Michel. “New insights into Harappan town-planning, proportions, and units, with special reference to Dholavia.” Man and Environment 33.1 (2008): 66-79. Saini, H., and S. Mujtaba. “Luminescence dating of the sediments from a buried channel loop in Fatehabad area, Haryana: insight into Vedic Saraswati River and its environment.” Geochronometria 37.1 (2010): 29-35. Sankaran, A. V. “Saraswati-the ancient river lost in the desert.” Current science 77.8 (1999): 1054-1060. Gupta, A. K., J. R. Sharma, and G. Sreenivasan.”Using satellite imagery to reveal the course of an extinct river below the Thar Desert in the Indo-Pak region.”International journal of remote sensing 32.18 (2011): 5197-5216. Danino, Michel. “Genetics and the Aryan Debate.”ARYAN INVASION THEORY (2006): 42. Talageri, Shrikant G. The Rigveda and the Avesta: the final evidence. Aditya Prakashan, 2008. Bryant, Edwin, and Laurie Patton, eds. The Indo-Aryan controversy: evidence and inference in Indian history. Routledge, 2004. Talageri, Shrikant G. “The Rigveda as a source of Indo-European history.” The Indo-Aryan Controversy: Evidence and Inference in Indian History (2005): 332. Frontiers of the Indus civilization.Books & Books for the Indian Archaeological Society and the Indian History & Culture Society, 1984. Lal, BrajBasi. The Sarasvatī flows on: the continuity of Indian culture. Aryan Books International, 2002. Rajaram, NavaratnaSrinivasa, and David Frawley.Vedic” Aryans” and the Origins of Civilization: A Literary and Scientific Perspective. World Heritage Press, 1995. Farmer, Edward L. Comparative History of Civilizations in Asia: 10,000 BC to 1850. Vol. 1. Westview Pr, 1986. Kunte, MahadevMoreshwar. The vicissitudes of Aryan civilization in India. 1974. Banerji, Rakhal Das. Prehistoric, Ancient and Hindu India.Blackie, 1934. Rao, S. R. “Excavation of the legendary city of Dwarka in the Arabian Sea.” (1990). Gaur, A. S., and SilaTripati. “An ancient harbour at Dwarka: Study based on the recent underwater explorations.” Current Science 86.9 (2004): 1256-1260p. Gaur, A. S., and S. Tripati. “Ancient Dwarka: Study based on recent underwater archaeological investigations.” Migration (2005). Gaur, A. S., and K. H. Vora. “Shoreline changes during the last 2000 years on the Saurashtra coast of India: Study based on archaeological evidences.” Current Science 92.1 (2007): 103-110pp. Shrikant G Talageri Analysis of The Aryan Invasion Theory, Comparative Analysis. Shrikant G Talageri- The Aryan Invasion Theory- Part I Linguistics.